For each “Off the Shelf & On Display” Book Display that we create, there will be a corresponding shelf in our Goodreads Library. Visitors may have seen our “Best Books of 2016” shelf, which enabled the UCI Libraries’ Department of Education and Outreach to highlight some of the best books published last year. Of course, with our new display on the theme of Black Lives Matter, we created a Goodreads Bookshelf, which lists just some of the titles that you will find in our new display. 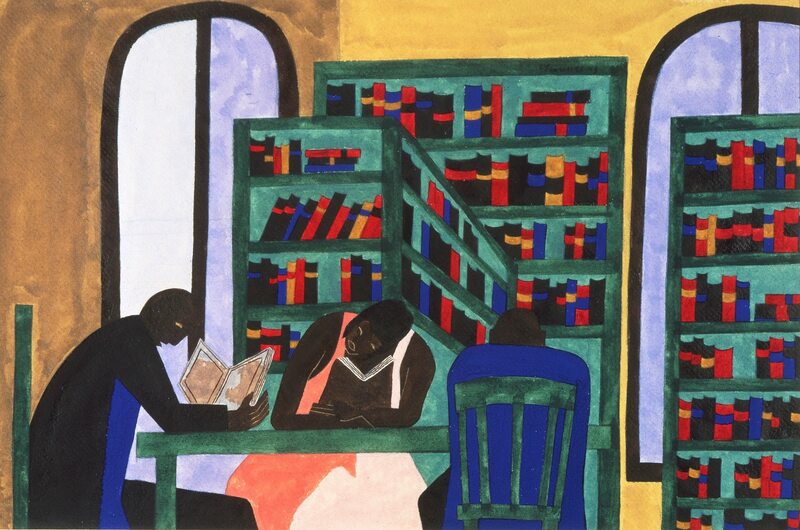 Jacob Lawrence‘s The Libraries Are Appreciated suggests that libraries facilitate community building, bringing people together to create knowledge. 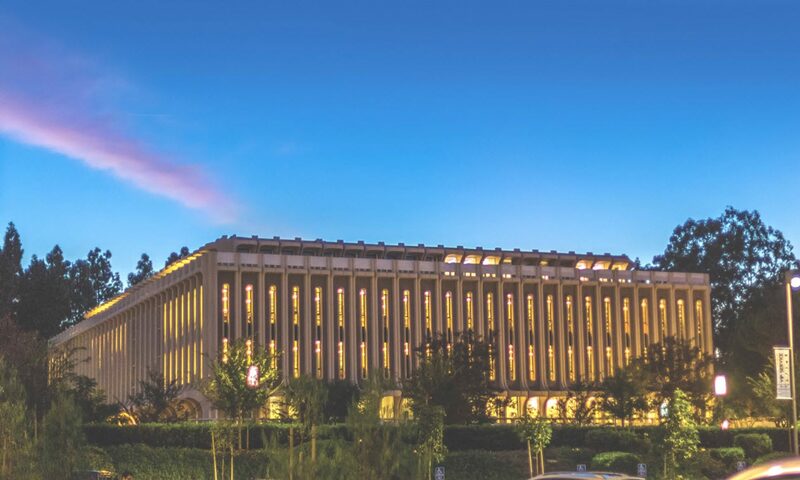 The clear, bright colors of this painting also contrast more common renderings of libraries as architectural fortresses that secretly guard, rather than openly share, information. Therefore, every Monday, the Department of Education and Outreach will feature a research resource that is related to the theme of the current display. The NAACP Papers collection consists of 6 modules […]With a timeline that runs from 1909 to 1972, the NAACP Papers document the realities of segregation in the early 20th century to the triumphs of the passage of the Civil Rights Act of 1964 and the Voting Rights Act of 1965 and beyond. UCI Libraries provides access to Modules 4 & 5. For more information about the NAACP Papers, please consult Becky Imamoto, Acting Head, Collection Strategies Department and Research Librarian for History and African American Studies. Want to see even more? Visit Becky Imamoto’s African American Studies Research Guide.